THE Bundaberg Distilling Company Australia's most awarded rum distillery and the home of Bundaberg Rum, has opened the doors to its new Visitor Experience following an $8.5 million upgrade. Marking one of the most significant investments in the distillery's 127-year history, the new Visitor Experience is a testament to the ongoing popularity of Bundaberg Rum and the brands' commitment to the Bundaberg region. Bundaberg Distilling Co. Chairman, Anthony Mortimer, anticipates that the new world class facility will attract an increased number of visitors to the Bundaberg region and further cement the distillery as one of the top 'must-visit' destinations in Queensland. "Bundaberg Rum is an Australian icon which now has the visitor experience to match its worldclass and award winning rum. We're proud to invite locals, Australians and rum lovers from around the world to visit the distillery and experience the rich history of Bundaberg Rum and the Bundaberg region, and to of course enjoy a rum with us while they're there." 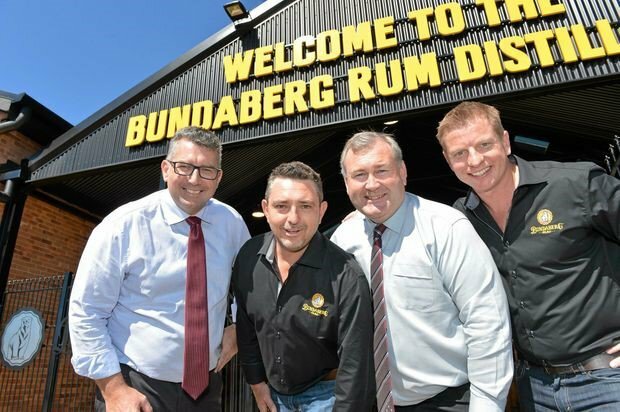 Federal Member for Hinkler and Assistant Minister for Trade, Tourism and Investment Keith Pitt said the Bundaberg Rum Distillery has long been a popular destination for people visiting our great region. "This significant investment of $8.5 million will help cement the Bundaberg Rum Visitor Experience as one of the leading attractions in Queensland and bring additional visitors and trade to Bundaberg. I congratulate the Bundaberg Distilling Company for its ongoing commitment to the region." The Visitor Experience now offers two new tour experiences in addition to the famous Distillery tour - The Bundaberg Rum Museum Experience and a Blend Your Own Rum Experience. There is also an expanded retail experience and bar area where visitors can purchase exclusive and limited edition products only available from the distillery. STOCKLAND has begun construction on a new $31 million project to expand its retail precinct on land adjacent to Sugarland shoppingtown in Bundaberg West. The new shopping centre will be named Stockland Kensington and will sit on about 3ha of land south of Sugarland Shoppingtown, with access off Takalvan St. Stockland Kensington will be developed on the site of the former Bunnings Warehouse and also includes an adjoining parcel of land. 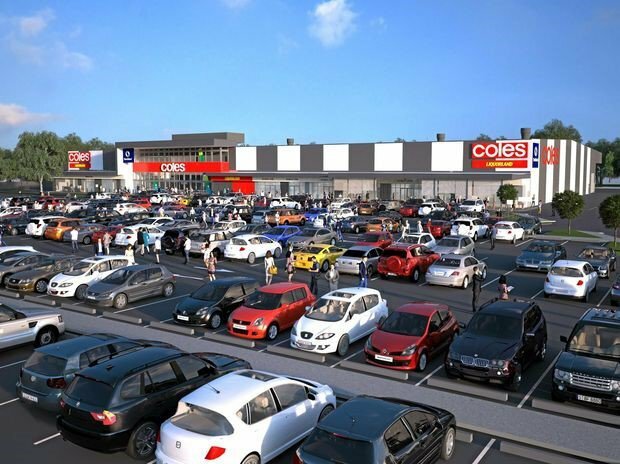 Stockland will develop a new, full-line, 4,500 square metre Coles supermarket, a 150 square metre Liquorland outlet and 1,370 square metres of specialty retail floor space accommodating up to 10 additional shops on the site. The new shopping centre will also offer approximately 260 car parking spaces. Construction started this week, with the project scheduled for completion and ready to open in March 2017, subject to favourable weather conditions. Stockland Group Executive and Commercial Property CEO John Schroderat said Stockland were very happy with its acquisition of Sugarland Shoppingtown and saw great potential to enhance its offering for the benefit of the local community through this new land acquisition and development opportunity, with a full-line Coles supermarket as the anchor tenant of this site. Stockland expects the project to generate approximately 73 jobs during construction and around 70 new, local retail jobs in perpetuity once the new shopping centre is open and actively trading from early next year. Knauf Plasterboard Limited, a subsidiary of the Knauf Group, a world leading manufacturer of plasterboard, modern insulation materials, plasters and accessories, today announced that it had approved the construction of a new plasterboard manufacturing facility at the Port of Bundaberg, Burnett Heads, Queensland, subject to satisfactory finalisation of approvals and agreements including the gas transmission agreement. The Project comprises the construction and operation of a state-of-the-art plasterboard manufacturing facility at the Port of Bundaberg, including gypsum handling and processing facilities to support plasterboard production and for on-sale of gypsum into the agriculture sector. The project has been made possible by the Queensland Government’s commitment to fund the construction of a new 26 km gas pipeline from Australian Gas Network’s Wide Bay gas transmission line at Bundaberg to Burnett Heads. This critical piece of gas infrastructure provides additional gas supply capacity for Knauf’s plasterboard manufacturing plant facility and other existing and new industrial users in the region. Knauf’s CEO of Asia Pacific, Murray Read, said that the Bundaberg plant was a great investment for Knauf as it expanded Knauf’s plasterboard manufacturing network into Queensland to better serve its customers, create additional trade through an under-utilised port facility, support regional development, and, in partnership with the State Government, helped to develop critical infrastructure for Knauf and other industrial users in regional Queensland. Mr Read said “Knauf is very pleased to be playing its part in working collaboratively with the State Government to help build new industries and boost regional and state economies.” The plant is expected to create up to 200 jobs during the construction of the plant and around 55 new positions when operational. Queensland Premier Campbell Newman said Knauf’s announcement was testament to the LNP Government’s strong plan to attract investment to regional Queensland and create jobs. “We have a strong team in the Bundaberg region with Jack Dempsey and Stephen Bennett; both of whom have been working incredibly hard to see this project come to fruition,” Mr Newman said. “This exciting announcement is a real vote of confidence in Bundaberg’s future, providing jobs and opportunities for local residents and businesses.